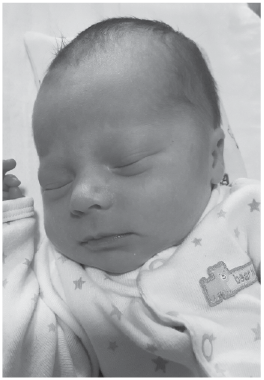 Phoenix Rain Booth, son of Kimberly and Nolan Booth of Fergus Falls, MN was born on Friday, August 31, 2018 at Lake Region Healthcare, Fergus Falls, MN. He weighed 6 lbs., 13 oz., and was 19-1/2 inches long. Proud grandparents are Jason and Melissa Trinkle of Fergus Falls, MN; Jamie West of Fergus Falls, MN. Great-grandparents are Thayne and Rose Iverson of Fergus Falls, MN; Steve and Carla Kubeny of Fergus Falls, MN.